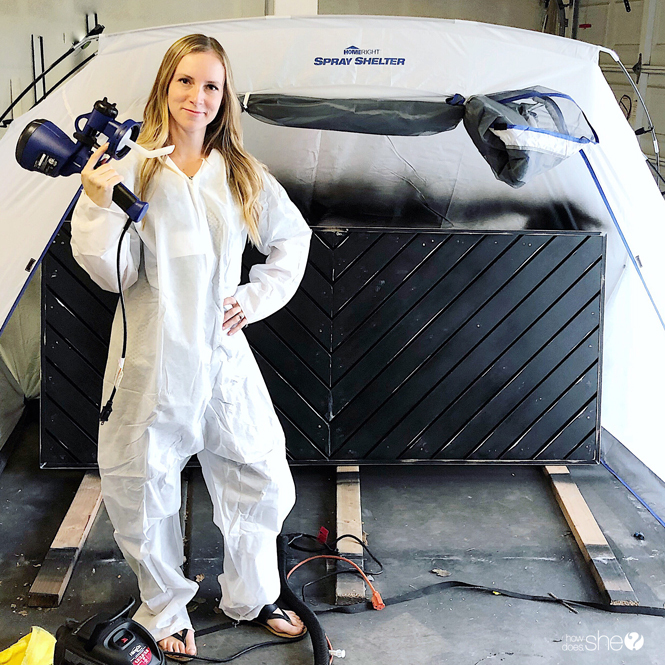 We are so excited to welcome our guest, Angela Rose, who is here to show us how to build a fixer upper style MODERN barn door– have you ever thought about trying something like this? 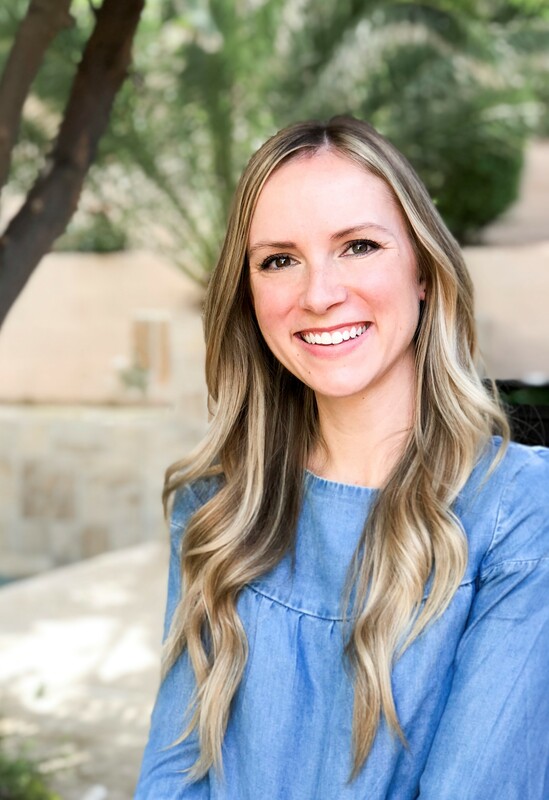 Angela shares her awesome home projects on instagram @angelarosehome so go follow and see even more stunning ideas! Take it away, Angela! 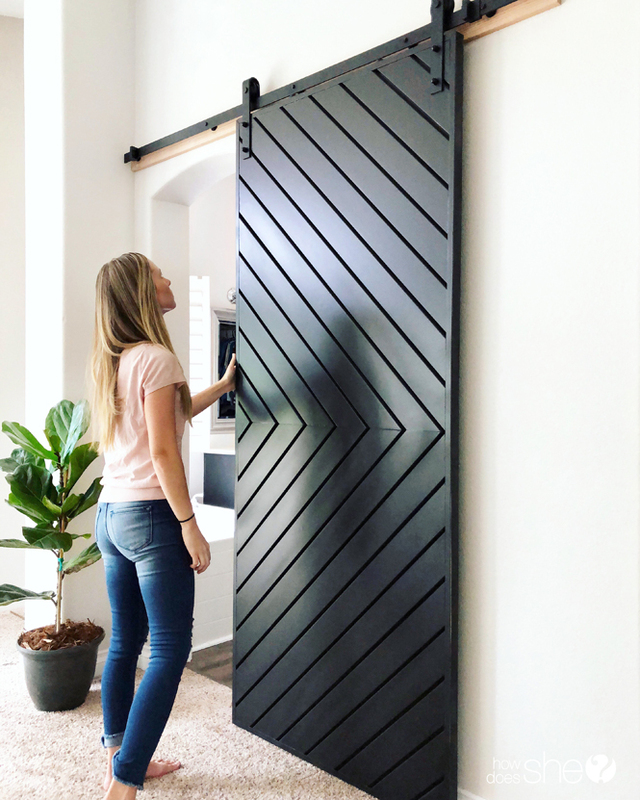 Who doesn’t love a Barn Door? Functional and beautiful. 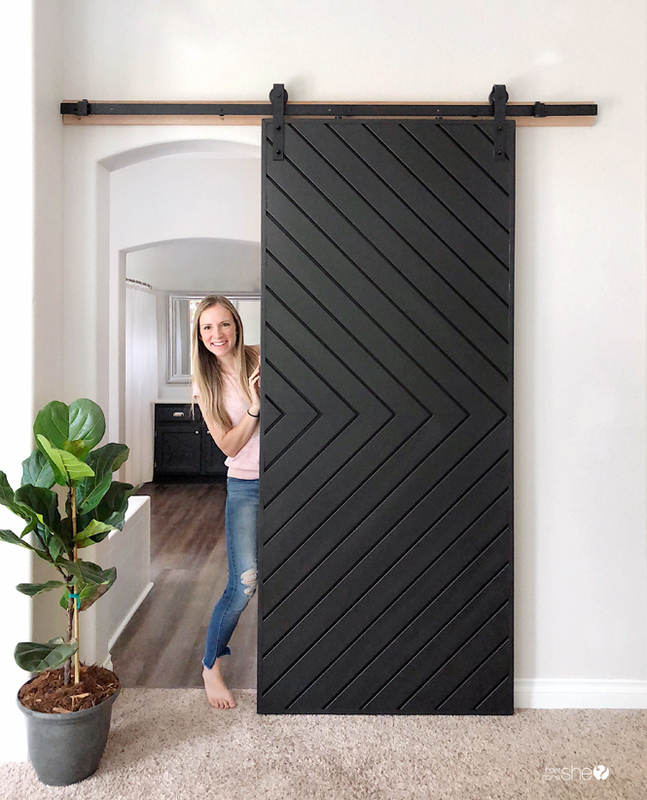 I love barn doors, but wanted one with a MODERN look instead of the more common rustic look. I looked everywhere but couldn’t find a modern door at an affordable price. 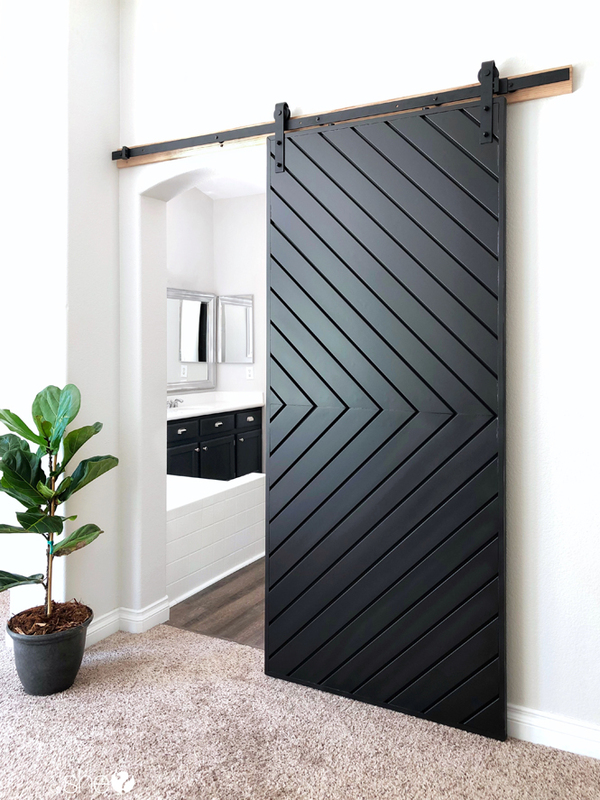 So, when I found an inspiration picture of Fixer Upper Joanna Gaines’ barn door, I knew I needed to come up with the plans to build one just like it! So, I busted out my pencil and paper figured out how to create a MODERN BARN DOOR for $120. To measure for your barn door, measure your door opening width and height. Think about how much of an overlap you want over the opening (standard is around 2 inches, but it’s personal preference). I went to my Home Depot and picked up (and had cut) all these materials in under 20 minutes. 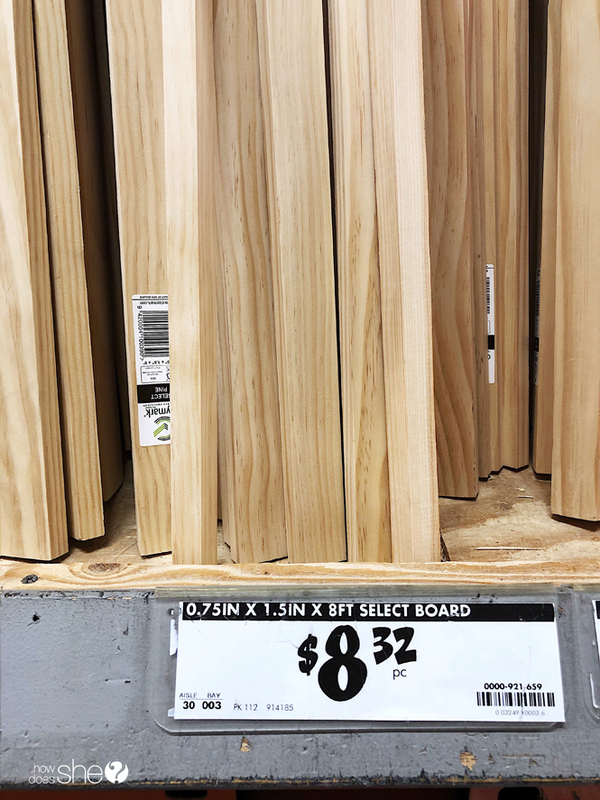 Here’s what you’ll grab in the lumber section. 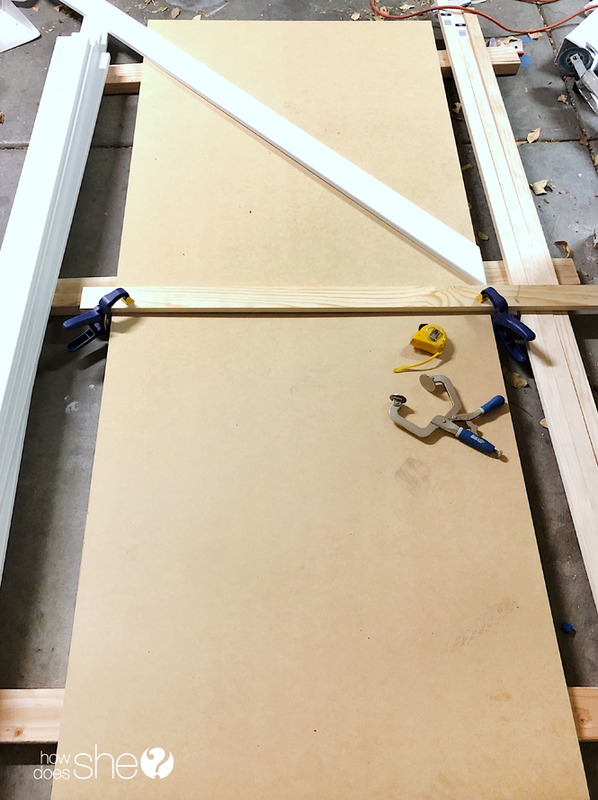 ¾ in thick mdf/plywood 4 ft x 8 ft sheet: this is your main barn door. ex. 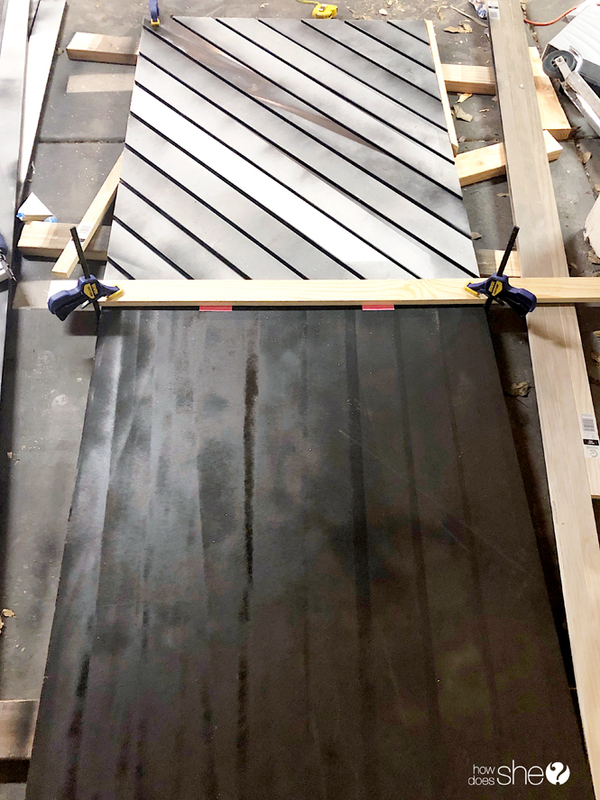 A desired door of 40in x 80 in, you’d have the mdf/plywood cut to 38.5in x 78.5in. I started out by finding the middle of my door, and marking it with a straight line across. (helpful tip: clamping an extra board across the middle makes it easier to line up your boards and keep them straight while cutting and gluing). After finding the middle of my board, I laid out my first diagonal board. Use a spacer to keep gaps consistent(I used 2 paint stir sticks taped together), and lay out your next board. 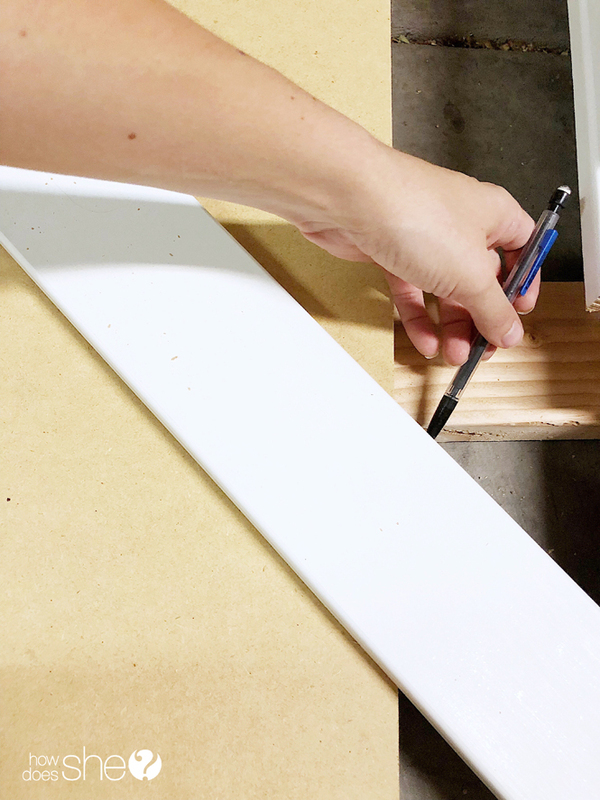 Do the same thing by tracing the door edge onto your board…cutting…then gluing and nailing your boards down. Continue on the entire upper half. After finishing the top half, repeat the same thing on the bottom half. Once all your diagonal lines are finished, take your 1x2x8 pine boards and cut them to fit around the edge of your door. Secure with glue and finishing nails. 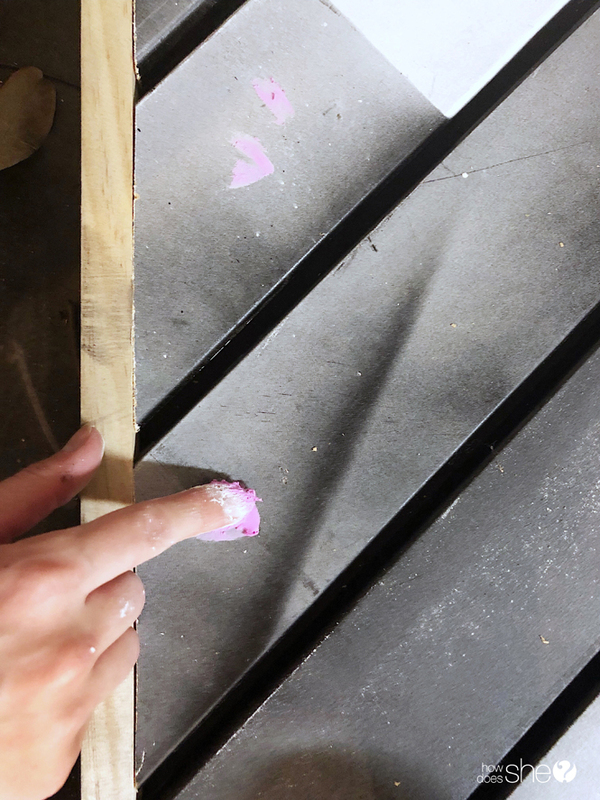 Fill your nail holes with spackle, and sand over any rough spots. Paint your door with your favorite color! Follow the instructions on your barn door hardware for hanging instructions. Make sure you get hardware that accommodates a door thickness of 1.5 inches and 200 lbs for safety. Here is the hardware I got. 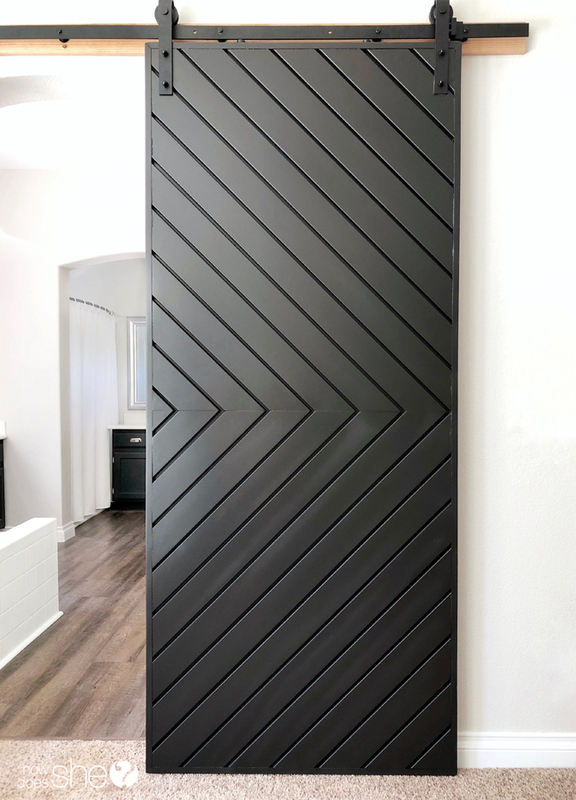 Enjoy your custom modern barn door! Fantastic tutorial, amazing door, incredible talent. 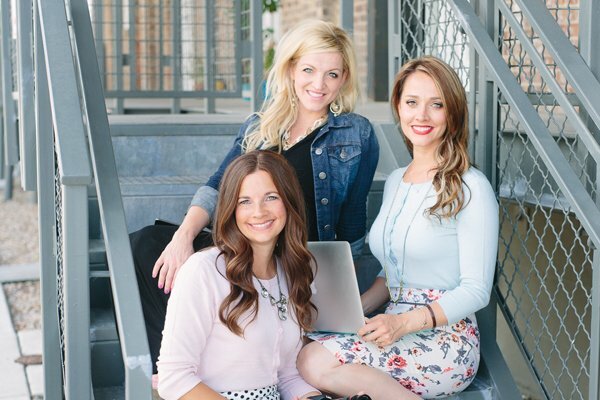 Thanks for sharing this project with us! Love this tutorial! Curious as to what color and more specifically what sheen of paint you used? Thanks! Would love to know what color you used? Looks amazing! Beautiful door! 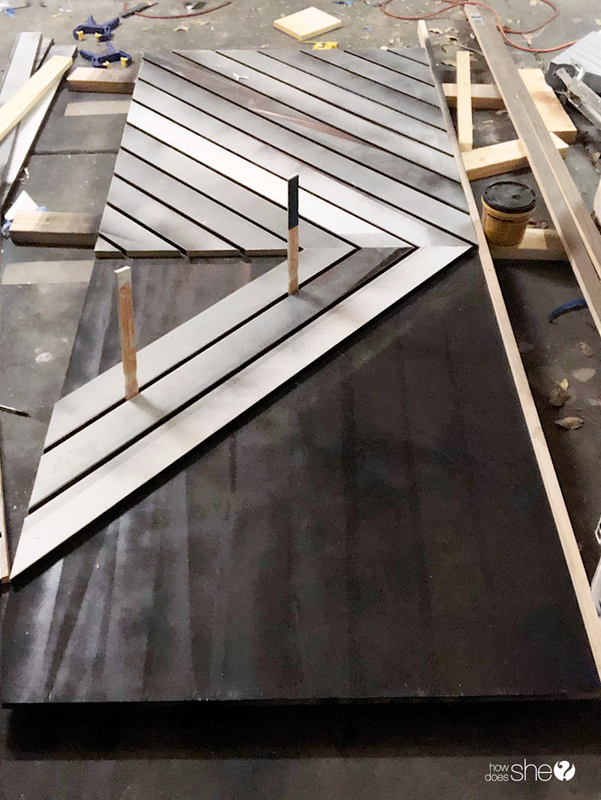 I am wondering if you can show how the last trim around finished diagonal cuts goes on. Because the MDF board underneath does not seem to have any space once all diagonal boards were attached. The tutorial jumps from diagonals to trim attached…missing a picture, please add. This looks amazing!! We are buildings our own barn door as well and I used yours as inspiration (we made a slightly different design though.) I am wondering what the breakdown of cost is though, because after I added yours all up it was over $160. I’m assuming the $120 was just for the actual door? Because the hardware and paint would jack the price way up, as it did for ours. Thanks!! 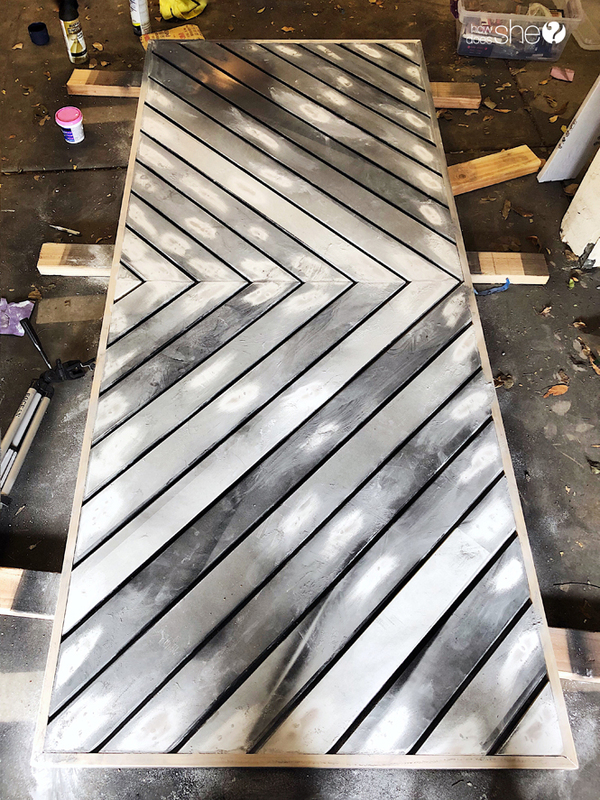 How did she do the trim for the diagonal barn door? LOVE this tutorial! Just wondering how one might finish the back side? I’m worried if I do the same pattern on the back the door will be too thick. Also if I want a wood look what material would you recommend? I’d love to know the paint color & sheen you used as well! I love this door & plan to build it soon! 😊 thank you for the awesome tutorial! !